A HUGE final Happy Mother’s Day to all our mums! We have focused on a few different mums and thoughts this week to showcase our mums here at Banksia Park Puppies. On today, we say a big Happy Mother’s Day to all our mums here living with us at Banksia Park Puppies, as well as those that we have rehomed into homes throughout Victoria (and further in some cases!). 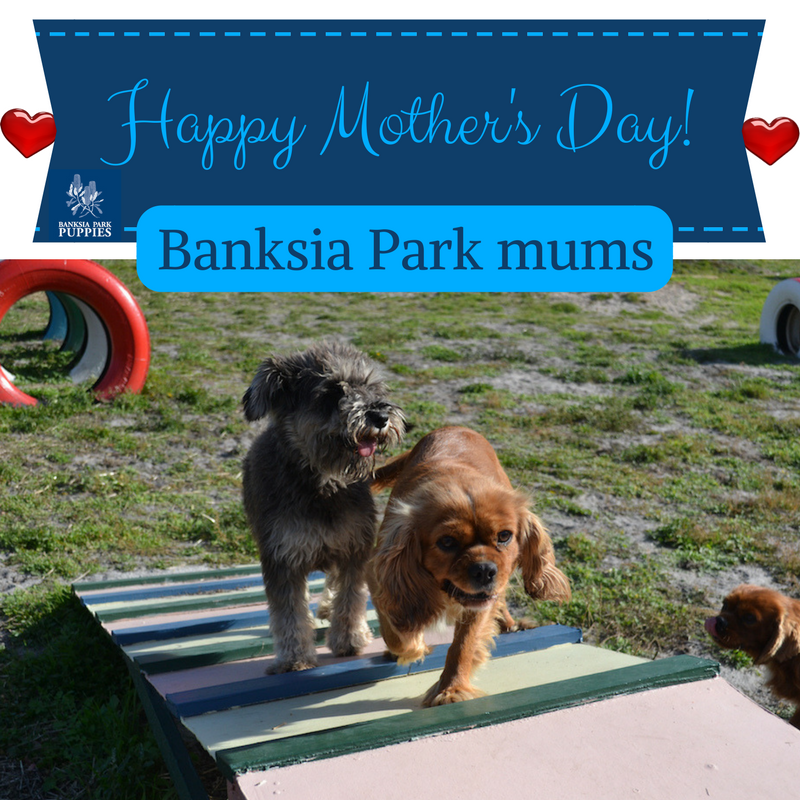 We also say a big happy Mother’s Day to all the human mums of our Banksia Park Puppies. Thank you for keeping us involved in their lives and their personalities. We love seeing the photos and hearing the stories! As a last note on this Mother’s Day week, we hope that wherever you got your puppy from that you know who your puppy’s mum is, and the conditions your mum grew up and lives in. We hope that everyone who looks for a puppy is mindful of where mum (and dad) lives and that we can all work together to promote open, transparent, ethical breeding. Ask questions, visit first hand, and remember – for the sake of all our furry mums – choose ethically.